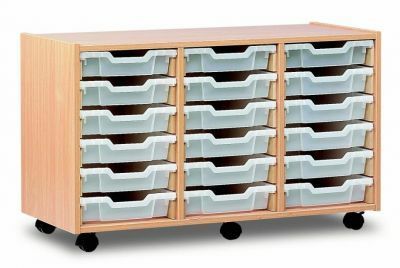 Perfect for education storage applications. 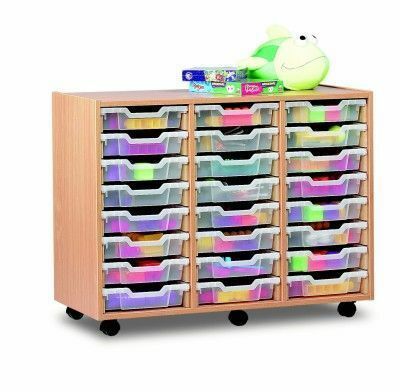 This mobile storage unit has three columns and has a large total capacity. 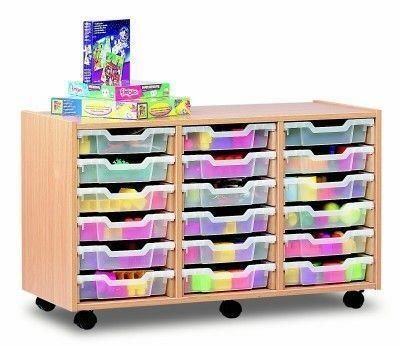 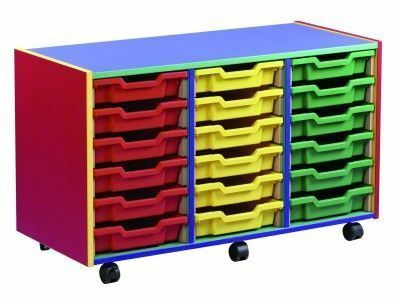 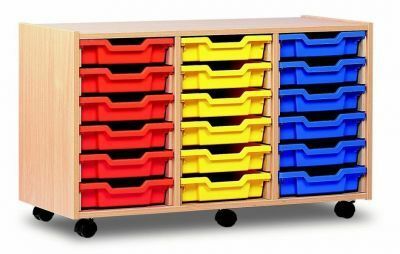 With 4 different numbers of trays and 32 coloured trays options to choose from including 5 translucent, this unit is a useful addition for any classroom. 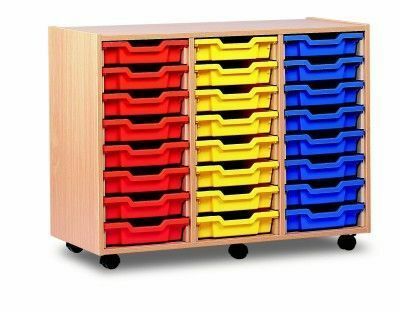 Free UK mainland delivery.